For those of you who have seen us at a wedding show this year, you may have noticed our "booth" looks more like a mid-century living room. You can grab a biscuit, a beverage and have a comfy seat to peruse our photo albums. We wanted a retro, classic feel to match our branding and images, but we did not have awesome pieces like these just lying around. And we didn't have time to find them. Where did we get these vintage treasures? 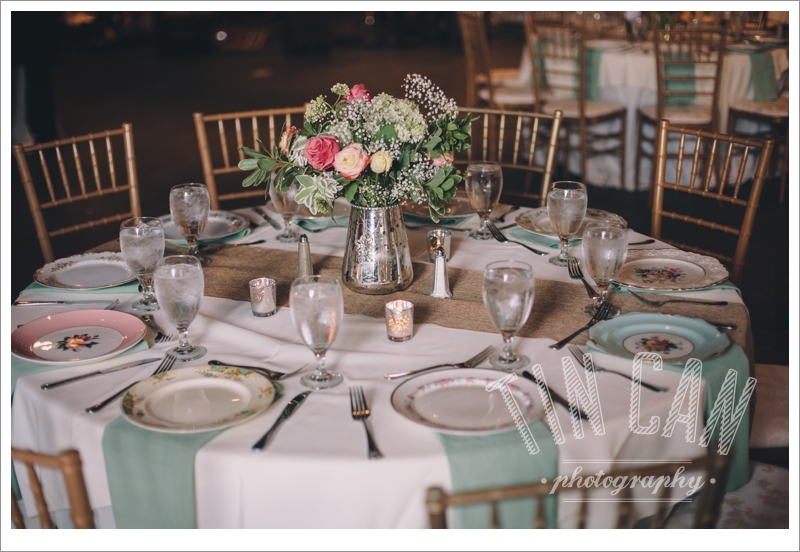 We sought out the expert help of Krista Janos, owner of vintage rentals company Blue Eyed Yonder. And she did not disappoint! 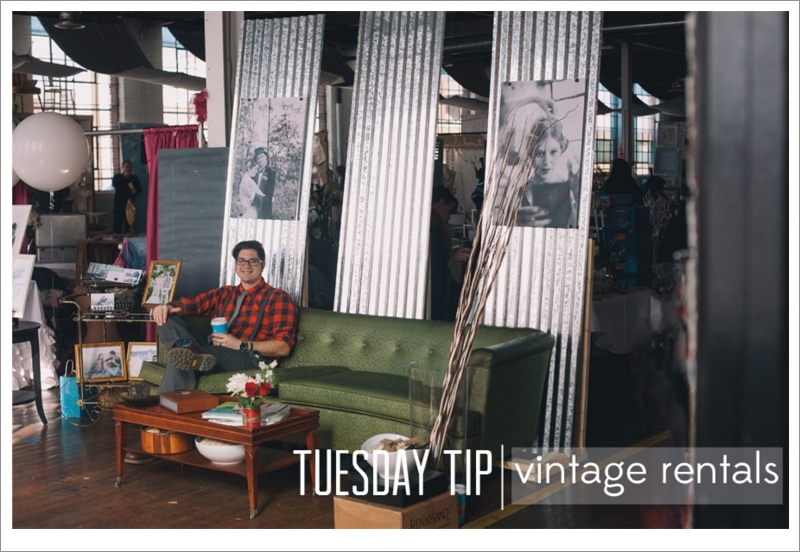 If you want your big day to be drenched in fabulous old-fashioned flair but don't have a ton of extra free time to hunt and gather every last detail (because, you know, you're planning a wedding), consider renting all your vintage pieces. One of our recent couples enlisted The Vintage Chicks to help dress all their reception tables in mismatched vintage china. It kept their affair classic with a vintage twist. 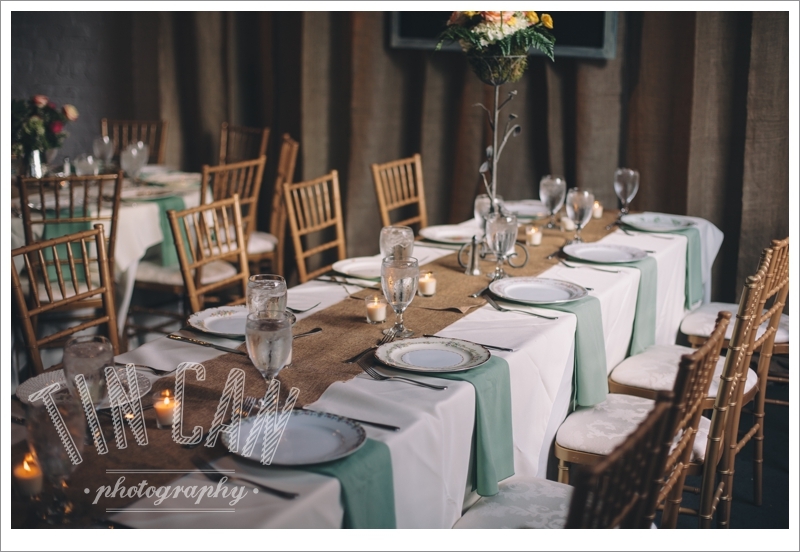 Your wedding planning can also be made simpler with the delivery and set-up that can come with vintage rentals. (This goes for items like the wedding cake as well!) Trust us, there is enough to do on the day of a wedding. Any way that you can help the day run more smoothly helps!